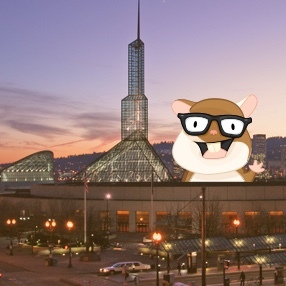 Location & Hotels | EmberConf 2017 - March 28 & 29, Portland, OR. We're back at the Oregon Convention Center, just 20 minutes from the Portland International Airport and blocks from our partnering hotels. EmberConf will take place upstairs in the Portland Ballroom and Lobby. Get a discounted rate on a hotel or Airbnb. Thinking about trying an AirBnb this time? Use our link for $35 off your first booking! Uber has come to Portland! Use this link and promo code uberTechConf to save up to $20 off your first ride (code can also be entered in the app). Good for airport trips and all over Portland.